1) Mix the oil, the lemon, the garlic, the chilli and the parsley in a bowl. 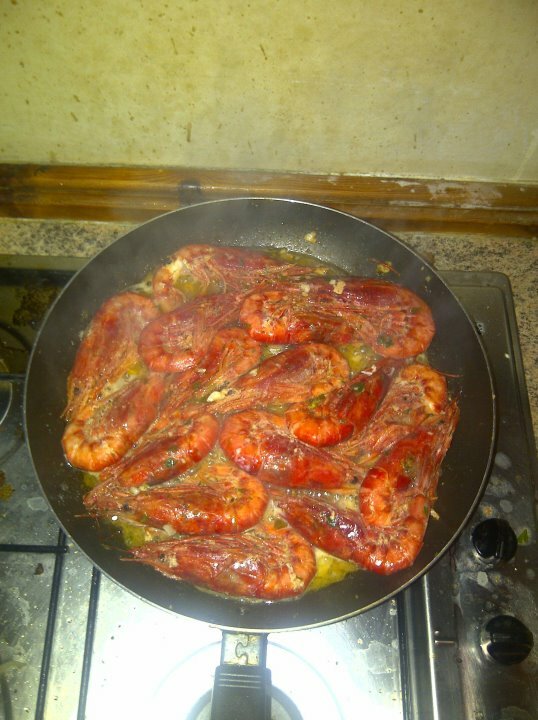 2) Slowly introduce the king prawns into the mixture and make sure they are very well covered. 3) Leave to marinade for 3 hours. 4) Fry in a hot pan with some olive oil for about 3 - 5 minutes.